Live like you are on a permanent vacation. What a location! You are within 5 minutes of two state parks with lakes, a few minutes from two golf courses and with quick and easy access to Interstate 81 and to State Game Lands. 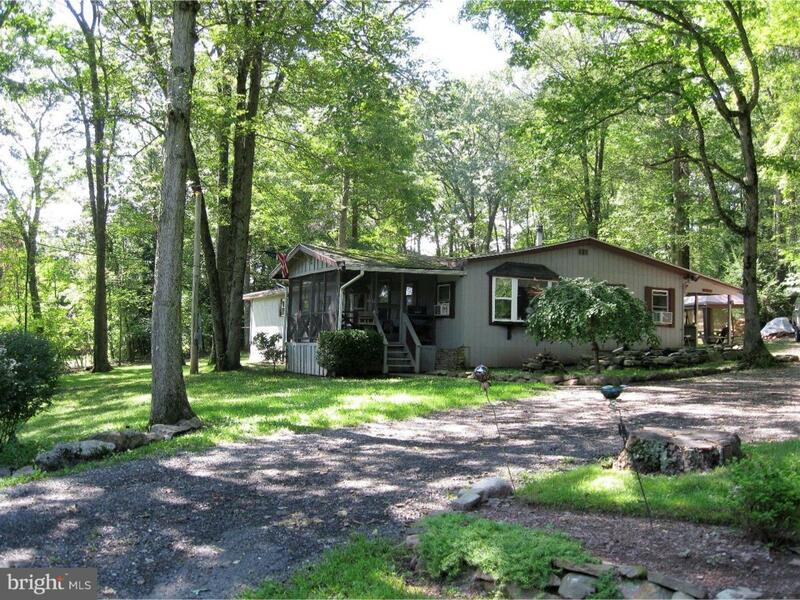 Wooded lot on a lightly traveled road of similar properties. One floor convenience with spacious living areas. Dining room is now being used as office. There are five possible bedrooms although two are now unused and one holds the owner's hunting and fishing equipment. Two large sheds hold extra "stuff". The vegetable garden is fenced to keep out the wildlife and you can relax bug-free on the screened porch. After a busy day outdoors you can soak out the kinks in the heated, jetted tub or doze by the stone fireplace. Cross Street Moss Glen Rd.